How To Handle a Puppy Buyer Complaint? The Answer Here. Most breeders, if not all, deal with puppy buyer complaints at one time or another. It’s the nature of the business. You’re providing folks with a living creature and things don’t always go smoothly during every transaction. While you may have to accept the fact that complaints are part of providing puppies to the general public, you don’t have to roll over when faced with an angry puppy buyer. Here’s how you can take the bite out of buyer complaints while retaining your reputation and your sanity. Perhaps a decade ago, the only way for your puppy buyer to complaint about you or your services was to complaint to you. They would pickup their phone and explain what went wrong. You could then decide to solve that issue directly with the buyer and live happily ever after. Things have changed. I am sure you realised that. Your dog buyer may let you know they are unhappy about the purchase but go complaint vehemently on one of the multiple platforms available to them these days: Facebook groups, online complaints boards, forums, subreddits, and blogs. Before you can think of handling a so-called complaint, you must be aware that there is one. The easiest way is to let your puppy buyers that if there is anything they want to talk about, they can email or call you at anytime, any day. 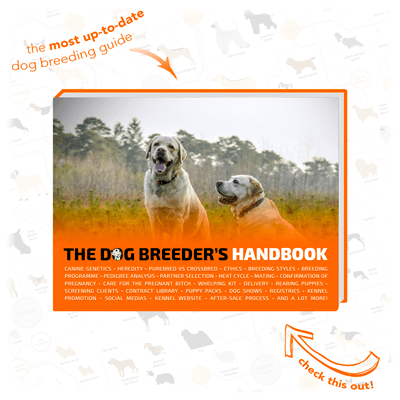 Customers must feel that you are genuinely caring about wanting them to be happy with their new pup or dog. 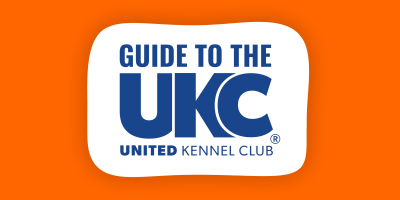 Just as a backup, I would simply suggest to join your breed or city’s breeder review Facebook groups, visit relevant websites every now and then, create a Google Alert with your kennel name, and as soon as you are aware of a complaint, you can start handling it the right way as described below. A Facebook Group reviewing bad French Bulldog breeders. ComplaintsBoard.com is a website listing complaints of all sorts, including dog breeders. A knee jerk reaction is never the best solution to a buyer issue. It’s always best to take time to read and re-read the complaint before answering. If the complaint is on a voicemail, you may want to replay the voicemail to ensure that you understand what the buyer is saying. If the buyer is complaining over the phone, it’s okay to ask the buyer to let you call them back so you can devote your full attention to their dilemma. Listening is vital when handling complaints in any industry. People who are complaining have things to say, listen, ask a few key questions to help you understand better, and do not feel pressured to solve the issue at that first contact. Better make slow decision that’s right, than a rushed one that’s wrong. If you messed up somewhere, it happens, and it’s ok, just sort it out fairly. For Shawna B. a breeder of yorkies, this advice has really hit home. Yorkies are well-known to have sensitive stomachs, and one particular puppy from one of her litters had an incredibly sensitive digestive system. Despite sending a supply of kibble with the pup, the new owners were up in arms when their precious pup developed diarrhea. The buyers immediately assumed the worst and flooded Shawna’s voicemail with a barrage of nasty messages. Shawna admits her first reaction was to get on the phone and give the buyers a piece of her mind, but she took time to cool off and was able to better educate the buyers in a calm manner. The buyers were incredibly happy at the way she responded and eventually bought another Yorkie from her a year later. The most important question you should ask yourself when a buyer makes a complaint is whether or not the complaint has merit. It helps to ask yourself if you’d be upset if you were faced with the same situation that the buyer is facing. If you answer your question with a yes, then you’ll also want determine the appropriate course of action for handling your buyer’s complaint. 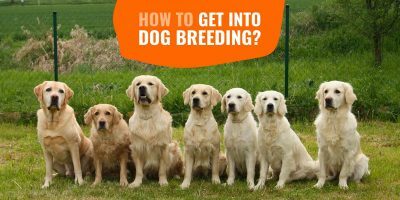 Most breeders are close to some other breeders, this is the perfect occasion to call a breeder you trust and share your challenge. They will give you an honest point of view and it will help you understand what went wrong and how to tackle it. If you messed up somewhere, it happens, and it’s ok, just sort it out fairly. Norma M., a Rottweiler breeder learned this lesson after placing pups from her first litter. She was new to breeding and was beside herself when the buyers who purchased her first puppy complained that the puppy was ill. Since none of the other pups from the litter had been placed yet, and she could see they were just fine, she assumed that maybe the pup had gotten into something at the buyer’s home. A few days after the buyers contacted her, other pups in the litter started showing signs of illness. The entire litter had come down with parvo, and Norma believes it may have come from one of the families visiting her home to look at the puppies. Thoroughly investigate any complaint, your bloodline could actually benefit from it. 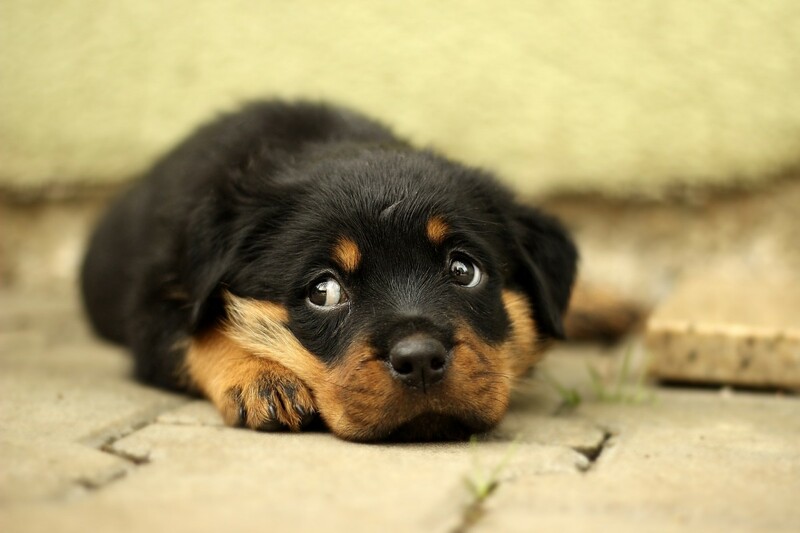 Rotties are especially susceptible to parvo and first shots aren’t enough to protect pups from the illness since pups have to complete the series of three shots for full immunity to be conferred. Norma states she wishes she hadn’t discounted the buyers complaint. She feels she could have protected the entire litter better by being more proactive. Luckily, the buyer’s pup and the rest of her litter survived the ordeal, but it was an expensive lesson for Norma, who now is extremely cautious when letting pups come in to view pups before buying. If your buyer decides to post something to a complaint forum or website, you may be tempted to share your side of the story on the same venue. You might also want to share this information on your website, blog, or social media accounts. This is the worst thing you can do. Responding to complaints can actually harm your reputation for the following reasons. Every response you make to a complaint website updates the site and causes it to increase in ranking. Your responses may actually fuel the fire and cause the complainer to increase their efforts to harm your reputation. Airing out your dirty laundry makes you look immature and unprofessional. If you have complaints posted against you, make sure you clearly address any issues on your site and sale agreement or contract. For instance, if a buyer has complained that their dog’s eye color changed after the puppy got home make sure you clearly state on your website and contract that your puppy’s eye colors may change once they get home and that you cannot guarantee eye color. Buyers will notice that shared, that information and the complaint will carry less weight since you addressed it head on without being petty. Pomeranian breeder, Ashely J. wishes she realized this before she got involved in an online skirmish with another breeder a few years ago. When she sold a potential stud to a breeder she met online a few years ago the stud didn’t turn out and this breeder was incensed. Although she offered to take the stud back and exchange for a proven male, the breeder wanted a refund and additional money for the food and vet care she provided for the dog, to the tune of thousands of dollars. When Ashely refused to comply, this breeder took to popular complaint sites to bash her. Once Ashely discovered her name and reputation were being dragged through the mud, she responded, introducing herself on the site, and defending herself. Now, years later, anyone searching her name via popular search engines will bring up the complaint from this breeder. Ashely has even been asked about the incident during job interviews and she believes it has cost her a position with a local vet. Not only that, but every response she made to the site jacked up the rankings and made it appear even higher in search results. Ashely admits freely there was a problem with the dog, but she feels she made a mistake responding via the complaint site. It only made the buyer more determined to rebut her every comment and even resulted in calls from “concerned citizens” to report her for animal abuse to animal control. She feels if she’d just let the buyer blow off some steam with the complaint, that the whole ordeal would have blown over much faster if she’d left it alone. Whether it is you to blame or not, there is always room to say sorry. When dealing with customer complaints, a peace offering can go a long way. It can also save you thousands of dollars in court fees or lost puppy sales. Sometimes, you can extend an olive branch by offering a small refund or discount to help make your buyer feel like you sympathize with their situation. If you do this, do make sure you handle everything in writing just in case your gesture isn’t as well received as you hoped. If the situation your buyer is complaining about is a legitimate concern that you are responsible for, don’t make them wait for a solution. Take care of any refunds you need to make or offer a replacement puppy, if necessary. However, don’t make giving up a puppy necessary for the buyer to get relief. Find a workable and reasonable solution and go with it. Good customer service goes along way when the unexpected happens. 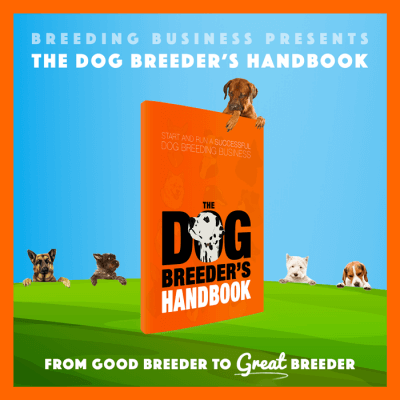 The main thing to remember is to treat your puppy buyer the way you would like to be treated. In many cases, you’ll be able to turn an angry complaint into a happy tale by following these helpful hints.